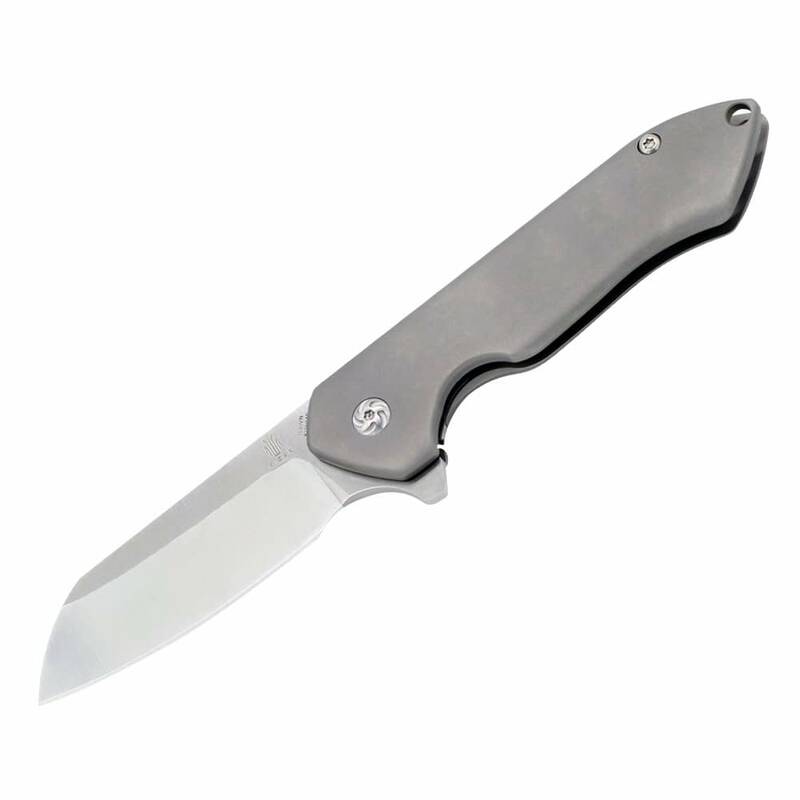 Framelock – Closed: 4 1/2″, Blade: 3″, S35VN Stainless, Plain Edge, Satin Finish, Gray Titanium Handle, Lanyard Hole, Pocket Clip. Includes Digital camo nylon zippered storage pouch. Includes free laser engraving! Please forward your receipt with what you would like. We can add patterns across the handle such as honeycomb, Kryptek, etc. We can add text or designs to the blade as well. Excellent gift piece.